Keyword grouping is an essential part of SEO is available since the early days of search engine optimization. Earlier Excel sheets were used to group relevant key phrases into clusters. There are different aspects of keyword grouping and also SEO expert to optimize the website to deliver a brilliant performance all the time. Before going deep into the keyword grouping, let’s what is it? It is a list of semantically related keywords, once grouped, are distributed right through pages in a way to get paid or organic traffic. Suppose you have relatively similar keywords, would you use them on the same or different pages of the site? To know the answer, you’ll have to analyze the competitor’s sites and would have to find “the pages that rank for those keywords is pretty much the same or similar”. This is quite a time-consuming task and it might be possible that the grouping has gone wrong. Keyword grouping helps your site become more relevant to the search engine. It also enhances copywriting efforts and the content quality on your site, for visitors and search engine. You can avoid keyword cannibalization (read more) and structure the site correctly. Keyword grouping is a time-saving approach. Keyword grouping is done following steps to be followed in order to earn the best results possible. The first step in keyword grouping starts with keyword research. A large database of keywords for a particular industry is made that also includes long-tail keywords. Take any keywords and run it through a keyword research tool, Keyword Planner or SEMrush. The high-level keyword groups need to make for your main products or services. If you offer digital marketing training, then your high-level groups will be like “top 10 digital marketing institutes”, “best digital marketing institute” and others. Now, to make your high-level groups easier to work, divide them into sub-groups of the same category. The group “best digital marketing institute” might have “best digital marketing course”, “digital marketing course fee”. Keep making the sub-groups until the list of keywords in those groups get narrow and closely related to each other. If you’re going to do it manually, this might cause the problem for you. 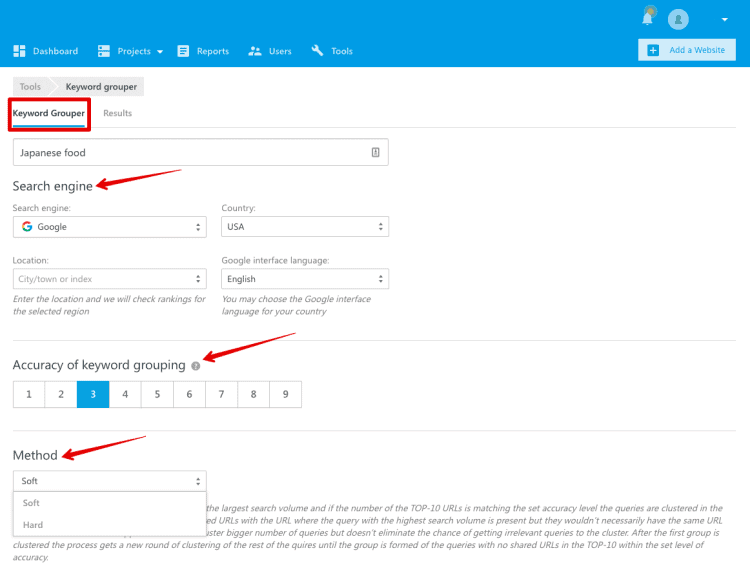 Better to use tools like Keyword Grouper. How Does Keyword Grouper Tool Work? Keyword Grouper, as the name suggests works for grouping the keywords for SEO approaches. What you need to do is get a list of keywords and copy-paste into the keyword grouping tool and get your grouping done in no time. You can take help of either soft or hard clustering methods to know how closely related terms should be put in one group. 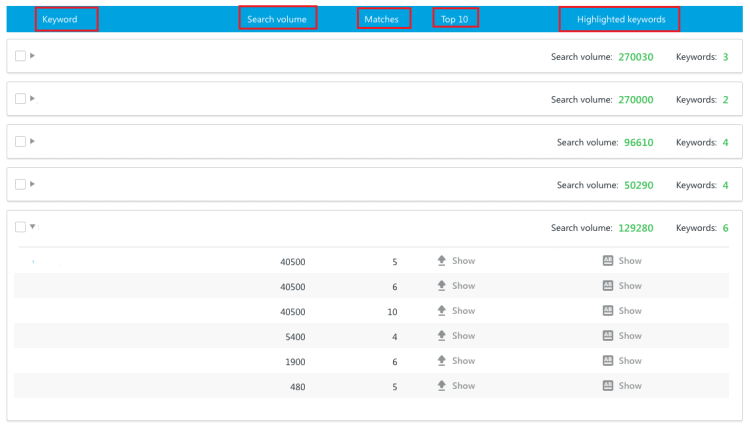 In this technique, the tool takes the query with the largest search volume from the list. Then, the rest of the queries are compared to the chosen one. Basically, the comparison is made for the top 10 search results for each of these keywords. If the number of matching URLs equals the set keyword grouping accuracy (from 1 to 9), the keywords are grouped into one group. 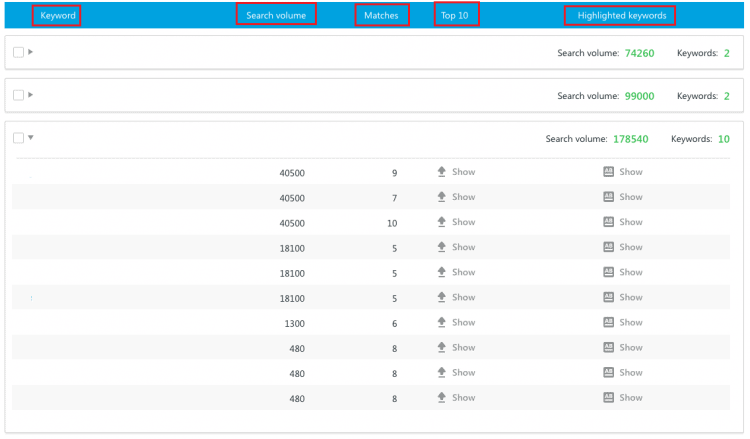 Soft clustering should be done for low-competitive niches as you can group a large number of search queries. The method picks the query from the list and immediately compares all other queries to it. All the remaining queries will be compared to the queries which are already present in the group and will be done till then all the queries don’t get the matching URLs. This method is used for highly-competitive niches offering the highest accuracy level and also removes the possibilities of adding an irrelevant query to the group. Keyword Grouping is an effective tactic for SEO and other business goals. But, you need to understand the whole aspects of Keyword Grouping perfectly. Above-mentioned approaches will help you for that.